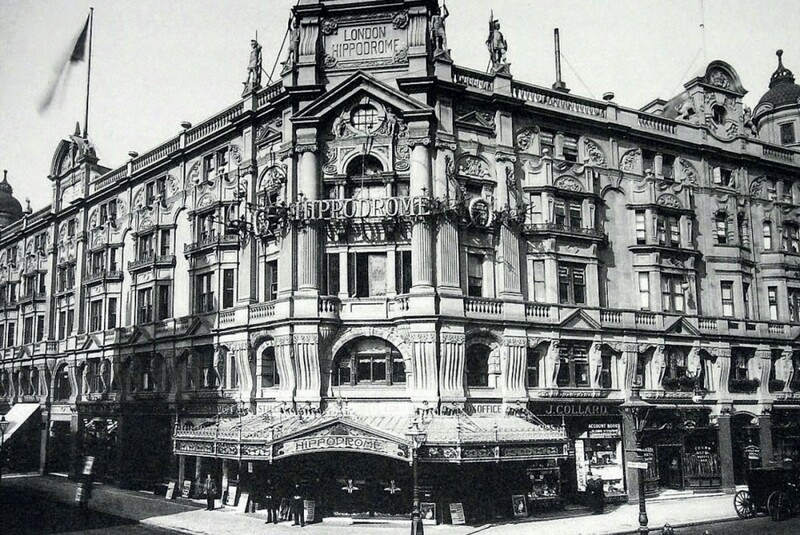 In the 118 years since it opened, the London Hippodrome has been through almost as many identities as owners. Originally built to house circuses and -- through some miraculous feats of engineering -- aquatic spectaculars, the Hippodrome witnessed the British premiere of “Swan Lake” and the stage debut of a 14-year-old Julie Andrews. 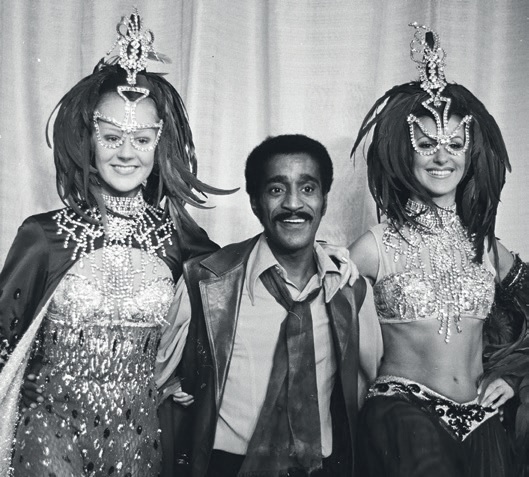 It is best remembered for its nightclub years, which began in 1958 and would go on to feature a Murderer’s Row of the likes of Judy Garland, Shirley Bassey and Dusty Springfield. 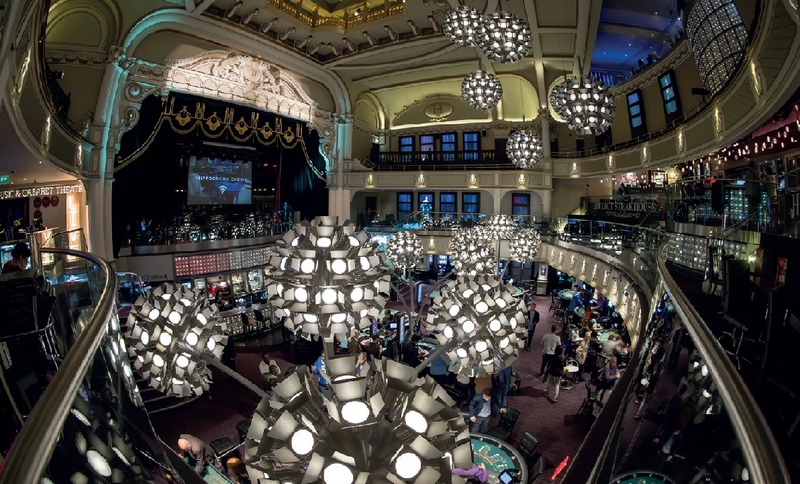 The Hippodrome was acquired in 2009 by the father-and-son team of Jimmy Thomas and Simon Thomas, , who began converting it into a casino. London Mayor Boris Johnson cut the ribbon on the revitalized Hippodrome in July 2012, calling it “yet another ringing endorsement of London as a great place to invest.” It was in the context of this burgeoning business climate that Simon Thomas sat down with Casino Life to discuss the Hippodrome’s past, present and future. Since our last interview we have had Brexit, which everyone is sick of hearing about. However London is now competing like it has never done before on the world stage. Therefore shouldn’t it provide the same or very similar levels of gaming entertainment that can be found in the likes of Las Vegas? You make a good point. The direct and most telling impact of Brexit so far is a widely-publicised currency devaluation. London has gone from being the world’s third-most expensive city to the 19th. Indigenous U.K. visitor numbers have remained steady but there’s been a very healthy increase in foreign tourism. However, we’re still under the cosh from people complaining about the lack of slots. Those from abroad expect us to provide many more than our current level of 20, where we’re capped. The case for more has, of course, been exhaustively made, but the issue around FOBTs has created a logjam of regulatory paralysis. We are hopeful an announcement on them will be made soon. 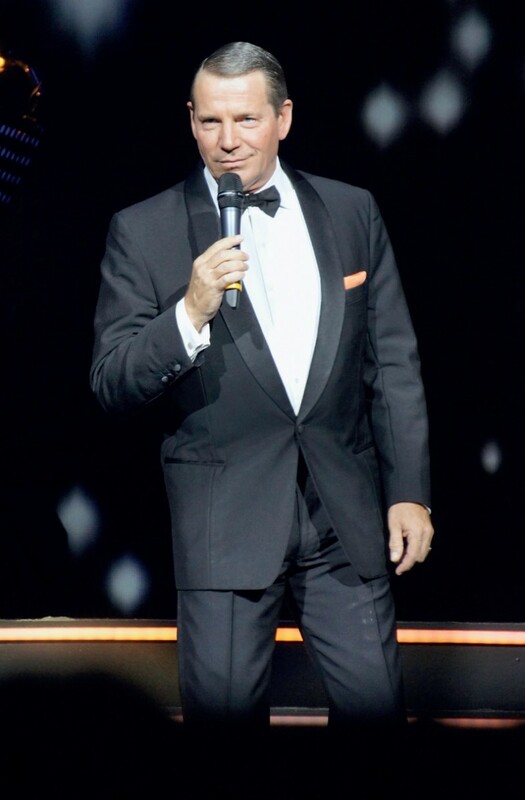 Whilst casinos like the Hippodrome have shown the potential for a modern gaming and entertainment complex, it won’t be until casinos are allowed more slot machines, as is normal in casinos worldwide anyway, that others will be able to and will need to invest in more entertainment offerings and allow us to compete properly on a world stage. Is there a seasonal bounce in business levels at the Hippodrome? If so, how do you cope with the running costs to cope with the varying levels of demand and so maintain peak productivity in operational profitability? Business and staffing levels remain satisfyingly steady across the entire year. Any weakness in local visits during holiday periods is more than compensated for by a healthy tourist influx in the same period. If anything, our key challenge is to manage the busiest periods in such a way new visitors feel compelled to return for a repeat visit. 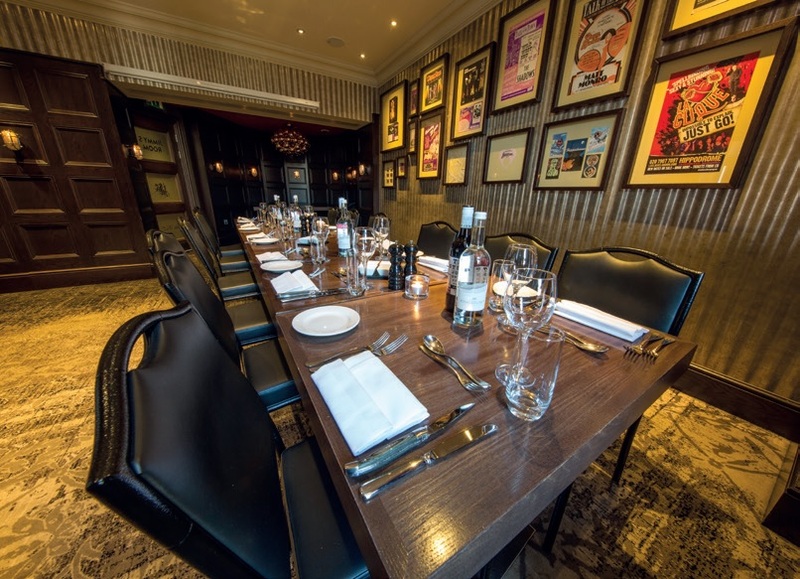 For example, in the run up to Christmas there’s an enormous demand for corporate events and private parties, which brings in a vast range of people visiting here for the first time. 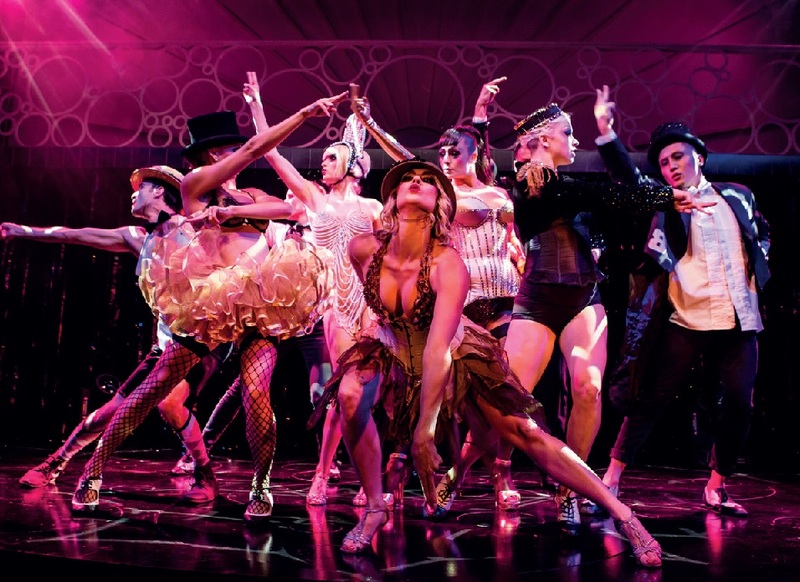 On top of a first-class experience, we weave in a simple bounce-back mechanic that makes a January trip to the Hippodrome even more enticing and the extra numbers make that traditionally slow month so much busier. 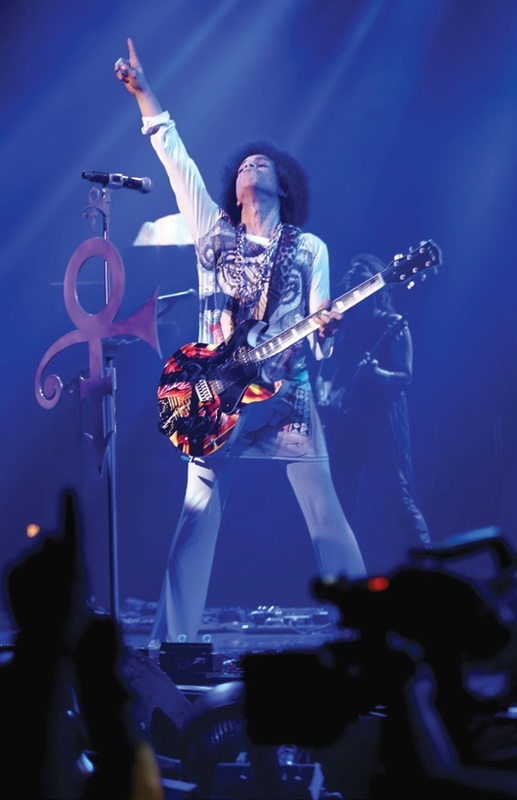 Light and sound are very important aspects of any leisure-entertainment venue. However, with such an impressive building this must have been a major challenge from an exterior and interior standpoint. Light and sound are among our most effective tools to manage the energy of the building. 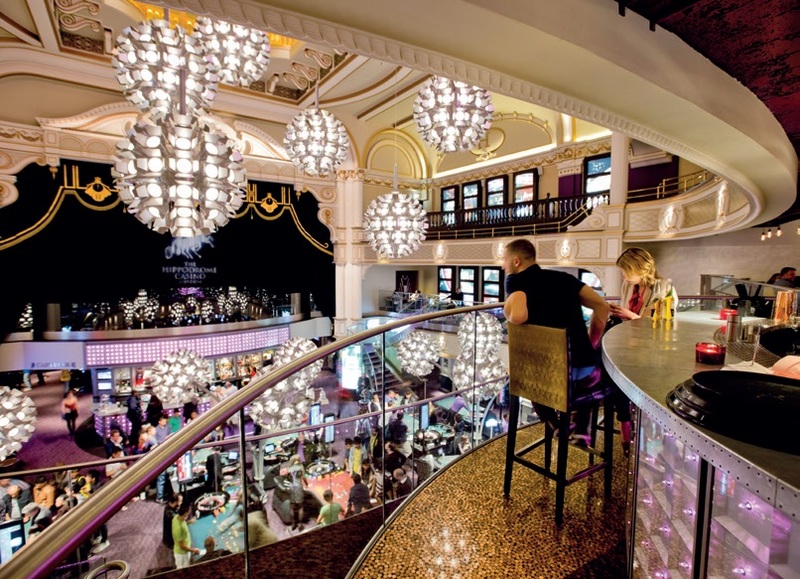 You’ve got to remember this is an enormous place but there are popular areas here at the Hippodrome that are natural destinations, for example our Grand Casino bar on the ground floor, next to the tables, and our first-floor Heliot Bar overlooking the main gaming area. We need to encourage movement to other areas – both social and gaming – and I think we’ve mastered the trick by managing mood and vibe at the flick of a switch. It helps that we have possibly the West End’s most sophisticated digital core within a beautiful and historic venue, with state-of-the-art lighting and sound platforms, and hundreds of screens that we use for both information and entertainment. There’s a 24-hour cycle programmed in, but all managers have access to a central control they can change in real time to change the atmosphere in different areas, to help pull large numbers of people through the building and into new locations they might possibly never see, but also to reduce the energy if an area is getting too busy. It’s also vital to be able to do this also because of the range of events that happen here. When you have 600 NFL fans here cheering their teams, it can sometimes get pretty loud! Leicester Square has and continues to have major work from a development standpoint, vehicular-access and other infrastructural issue. Do you, as a major business in that location, have a say so in this, insuring that character and special unique qualities are maintained? Well before I opened the doors I knew I wanted to demonstrate my full commitment to the area. You can’t take over a building like the Hippodrome and ignore the responsibilities that come with it. Leicester Square and the West End are one of the world’s most important and best-known destinations. It’s a byword for entertainment. Showing we’re a responsible neighbour that will work hard to encourage visitors is all part of being the custodian of such an amazing building. We work closely with a range of local businesses, governing bodies, marketing companies, landowners, and of course the local council, to help manage the environment. We do our bit to represent London on a national stage and to make the city proud. When I think back to the 90s and what Leicester Square was like – it wasn’t a great place, it was a tad seedy – and compare it to how it is now; two of the largest casinos in the country; two newly refurbished cinemas and a third, the iconic Odeon, currently being renovated; two great hotels, plus three new hotels with a fourth opening next year; all this on top of a recent £17m refurbishment of the Square itself... and the arrival of the U.K. headquarters of the NFL, and the famous M&M and Lego stores. It’s been transformed. Over £600 million has been invested in Leicester Square in the last few years and you can see it. It’s vital to keep the momentum going to maintain the ‘brand’ of Leicester Square and its revitalised reputation. There’s an average 250,000 people who walk past our front door every day – sometimes up to 300,000. And that’s thanks in part to the hard work and investment of businesses here, and the fact that Leicester Square is now somewhere people want to go. 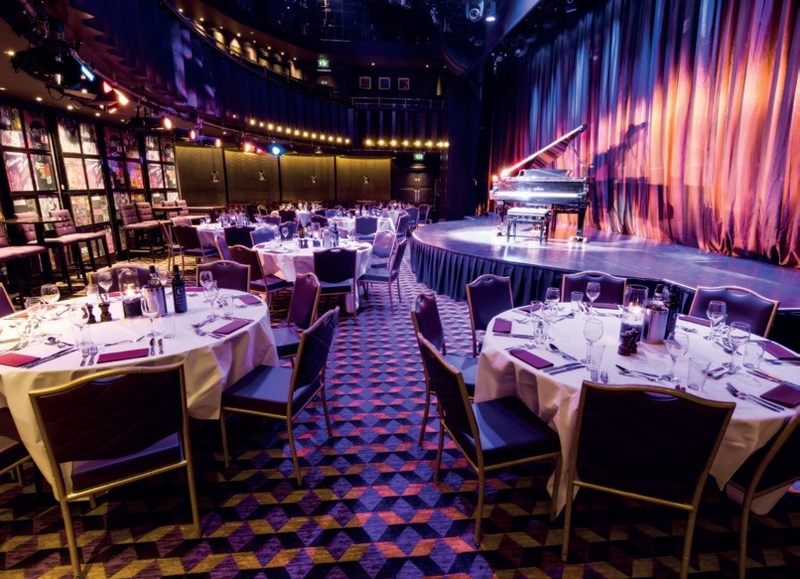 For the player who comes from another country, in London for a business trip and or pleasure, what would they find at the Hippodrome Casino that would provide them with a novel or unique experience? You’ve hit the nail on the head with the word ‘experience.’ There’s such an enormous choice these days that people are not just looking for a bar or a restaurant or a night out, but something extra... the full experience. Something they can Tweet and Instagram, and deliver a tale to their friends. And for those who live here in London or are visiting, a trip to the Hippodrome is just that: three distinctive casino floors, each with a different theme and vibe; a cabaret theatre that hosted pop star Prince’s final UK gig, and has seen more music stars than Broadway and the West End combined; a steak restaurant that just clocked up its fifth ‘Best Steak House in London’ trophy; six bars and a two-tier smoking terrace. It is rare that people do not walk into the Hippodrome and go ‘Wow.’ And they probably say it a few times during their visit. I’m allergic to the word ‘literally,’ but there’s literally no place like it. Las Vegas and other major gaming destinations gain a lot of free publicity from word of mouth and their social-media followings promote the fun they had in that destination. Yet in the U.K. many who visit are often confronted with queues of people waiting to play on the slot machines – how does that help with the Government’s message that the U.K. is open for business. You’re right. As I’ve already said, the limitations on the numbers of slot machines are a major tourist turn-off. But we’re pragmatic and we will present our case persistently, intelligently and creatively, until they see sense. The national lottery is one major, progressive random-number generator. Isn’t it about time the government looked at the competitive disadvantage that land-based slot machines have in comparison to the online versions and those in mainland Europe and other gaming jurisdictions worldwide? Put simply, the Government’s Green Paper covering online has stated that if something is illegal offline it should be illegal online as well. This being the case, we expect a reduction in the differences between online and offline. But in actual fact, the British casino industry is not looking for Megabucks-type machines, preferring to focus on having a sensible increase in the number of slot machines. In reality, most players like playing for a winnable jackpot rather than a pie-in-the-sky amount because the big wins are less frequent. Progressive slots provide, in many players’ opinion, far more fun than balls in a box bouncing about and a chance of a million-to-one on winning? As Jane Austen says: “One half of the world cannot understand the pleasures of the other.” In my view, the key to a healthy UK gambling industry is a decent range of products with the appropriate regulation and availability. Simple. In an ideal world we would have: A) A smaller number of decent-sized casinos with hard gambling and high numbers of highly-trained staff, and the required levels of control and regulation. B) A high street with more easily available arcades, bingo halls and betting shops with softer gambling – certainly no FOBTs – in less-supervised and less-controlled, accessible venues. C) And at the softest, lowest-regulation end, seaside arcades for the family, or once-a-week lottery products, to give a player choice and a lot of fun. 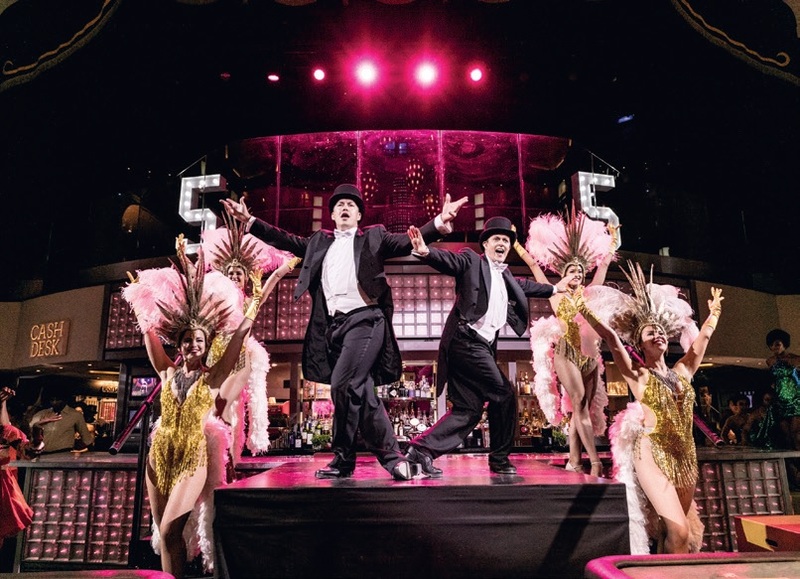 How does social media play into the Hippodrome’s marketing mix? The difference in how businesses use social media nowadays, compared to when the Hippodrome opened more than five years ago, is profound. Techniques to attract, surprise, educate, invite, persuade, shock, and alert existing and potential customers are seemingly more straightforward – the simple tap of a button or key – while actually being wonderfully nuanced and incredibly complex. We know just how important it is to engage the social-media audience and we continue to build our presence there. We treat the business like a regional news patch, focusing on visitors and staff alike to tell the story of what’s happening here, and the people behind the business. It’s key that readers read about more than the latest promotion or offer. Does the casino’s entertainment offering impact visits to the casino? One of my favourite descriptions of the Hippodrome came from a visitor reviewing us on Trip Advisor. The Hippodrome, they said, has “the energy of Las Vegas, the class of Monaco and the eccentricity of the British.” I couldn’t have written it better myself. You’ve got to never forget The Hippodrome is a former theatre. An entertainment icon. Opening night in 1900 saw Charlie Chaplin in the cast. The U.K.’s first performance of jazz happened here. Houdini escaped here. Julie Andrews performed in her first show here. Renee Zellweger is currently making a film about Judy Garland’s last performances in London – they happened here, on the stage at the Hippodrome during its Talk of the Town Days. Entertainment is fundamental to our business. And it doesn’t start or finish on the stage of the cabaret theatre. It’s from the customer’s first step through the door where there’s a history wall of the venue, including Chaplin’s cane. We celebrate the building’s entertainment history, but have also added many new elements to amuse and delight visitors; the simple addition of 12 ‘selfie spots’ ensures we’re Tweeted about more than any other entertainment business in London. And all of this leads to more visits, more talkability and more activity. But I’ll always say it’s the smiles on the face of our staff – each and every one an entertainer in their own right – that makes this business what it is. Do you spend time looking at what other casinos are implementing or innovating in neighbouring countries, as well as further afield (such as in Las Vegas and Singapore)? Or do you prefer to draw more from the internal ideas of the company, and its past and present, and add to that your own experience in hospitality and entertainment? Of course, all the above and more! We’d be mad not to look at what others are doing in the casino field worldwide, but we climb a slightly higher mountain to get a view of a wider range of businesses across the leisure market including theatre, restaurant, hotel, nightclub and retail. We have lots of our own ideas, but we’re never too proud to pick up ideas from other people; the trick is to deliver it in our inimitable Hippodrome style. Technology plays such an important part in our lives, and it has certainly affected our leisure time. How has it affected the offering within your casino? British casinos are not allowed virtual products – digital wheels or cards – which tends to limit us in the gaming in some ways. But even there we are enjoying using technology to develop progressives on games like blackjack and three card poker, and different ways of advertising the games. The building has a complex digital core, enabling us to track and monitor activity throughout, and communication gets better and better. I love technology but it has to have a purpose. We are disciplined to use the technology that makes our business better and more profitable, but not waste time on the seductive technologies that look fantastic, like 3-D, virtual reality, curved screens, where it’s difficult to find true commercial benefits. 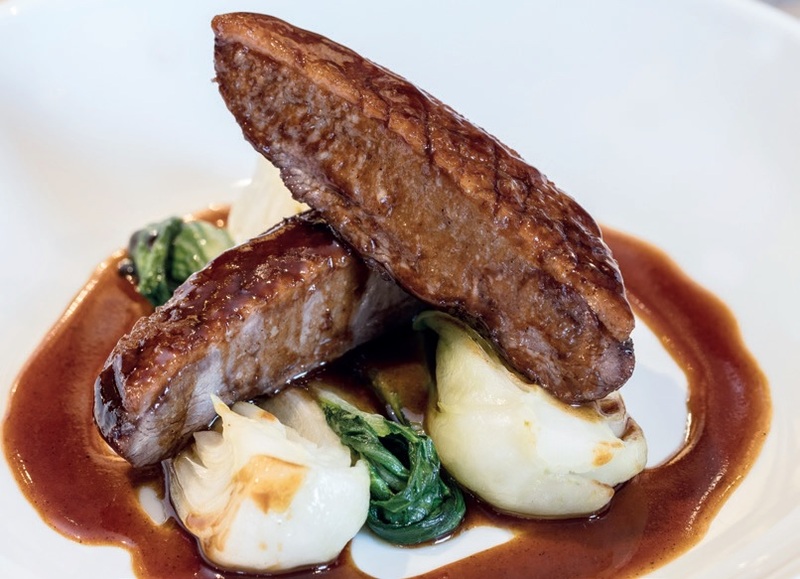 Great food and entertainment are vital in providing a memorable night out. 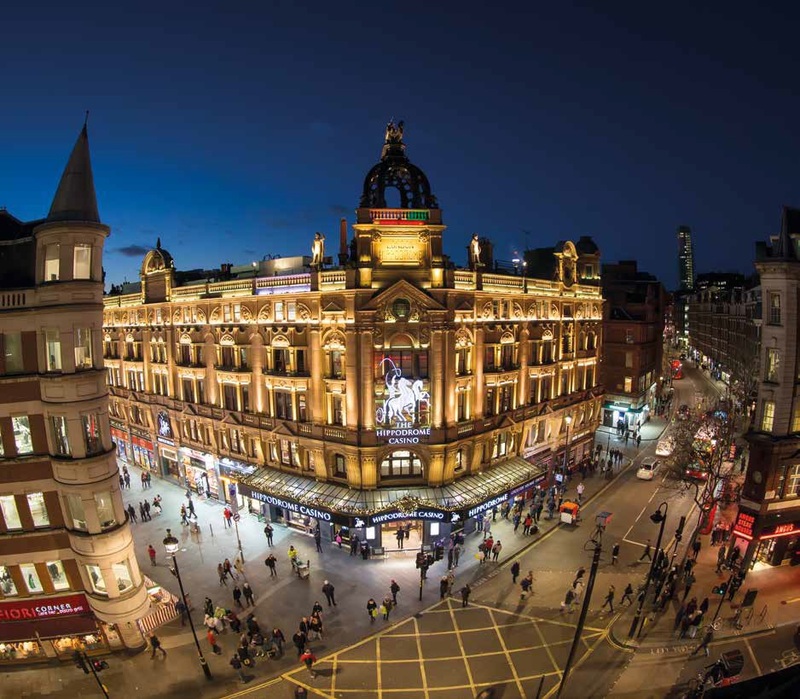 What, in your opinion, are the key values and qualities that the Hippodrome provides that have made it London’s leading entertainment venue? It’s all about people, place and product. It’s the breadth and synergy of what we can offer. The total package. 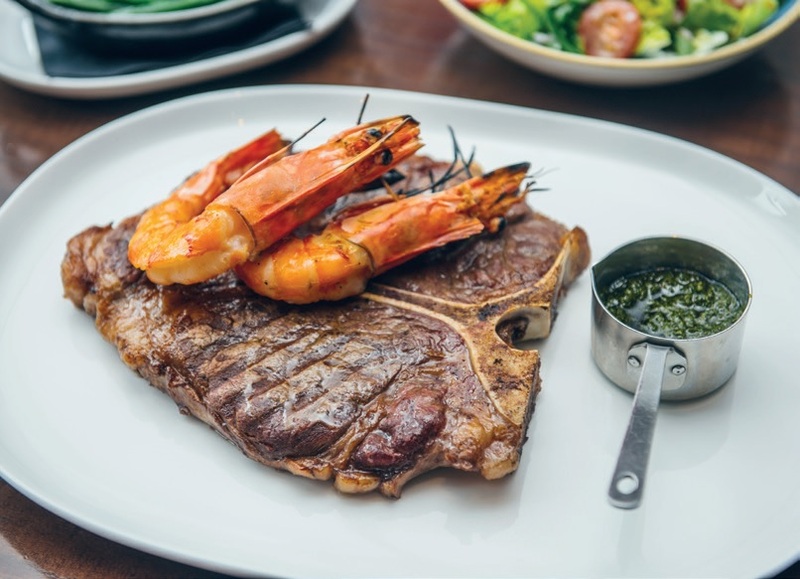 So you can eat at a multi-award winning steak house, or drink in any one of six bars, see a world class show and choose a casino environment that best suits your personality – we’ve three to choose from. It’s that element of choice – the best at every level – that makes us a compelling destination, all within a walled garden of casino-level protection and regulation. How does the Hippodrome cater for the Asian community, both domestic and international? London is marketing itself very aggressively at the Asian audiences, and the high number of visitors from this region show it’s paying dividends. We’re building key relationships with organisations that bring the Chinese to London – tour operators, business forums, local Chinese influencers – while ensuring we have the staff, the know-how and attractions that will ensure their visit is a memorable one, and doing the same with Japanese, South Korean and other key markets. Everything we create for the English-speaking audience is mirrored for the Asian one. Signage, our Web site, the information in booklets and screens, is all available in the Chinese language. Recruitment of bilingual staff is key, and we’re having enormous success in this area too, as a simple greeting and tour of the property in Mandarin or Cantonese can make a massive difference. We now have a presence on WeChat, which has 700 million Chinese users, a dedicated Chinese menu, and our relationships with the London Chinese community have never been stronger, including our hosting of the Chinese Community Centre on our second floor. We will also be sponsoring, throughout this year and next, London’s first dedicated Chinese Arts Festival, which will bring into the business a new Asian audience, some of whom will never have been in a U.K. casino. What are the facilities provided for hosting corporate and society occasion events along with weddings? Comprehensive! This is another element of our business that sets us completely apart from any other casino in the country. Our ability to host events for 600 down to private dinners for four, presents us with a huge opportunity to attract people into a casino environment who would ordinarily never consider it. The modular design of the non-gaming areas allows us to offer the widest possible range of space and facilities for practically any event. 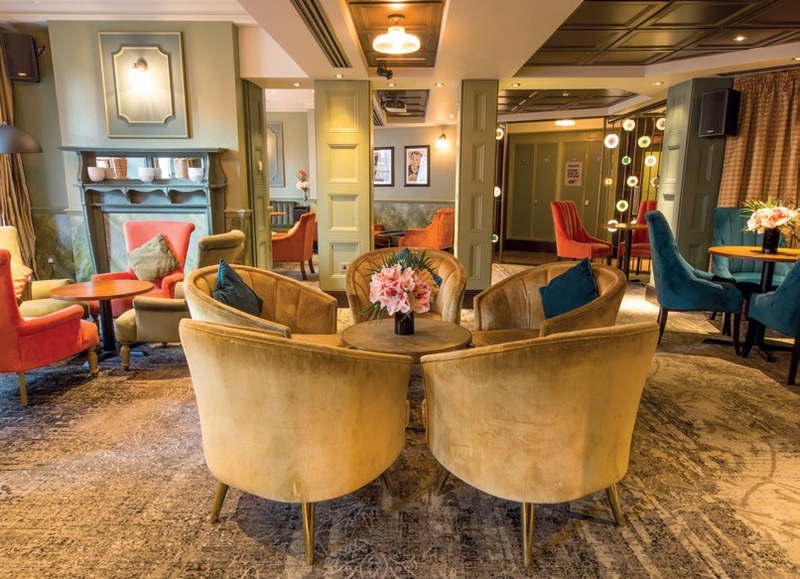 This includes using any of the six bars, smoking terrace, cocktail lounge, two private dining rooms, a 100-seat restaurant and cabaret/events theatre that can seat 220. Pick your space and style of party, and we can make it happen. 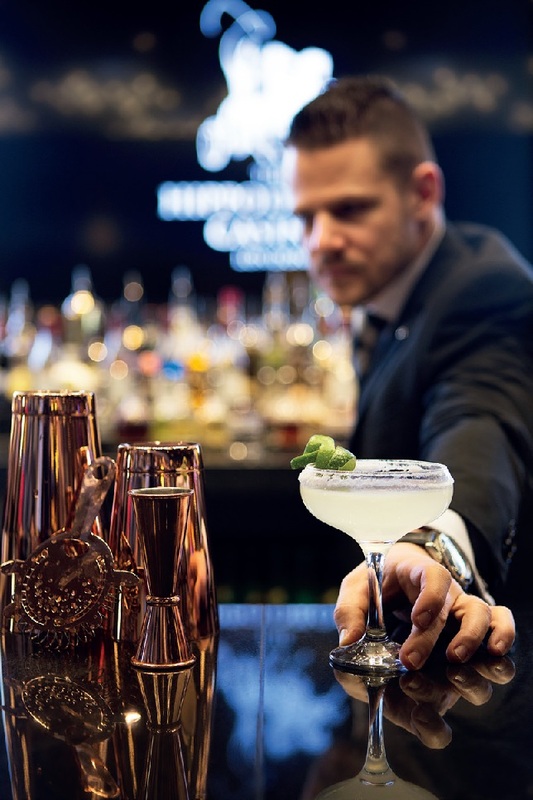 We host NFL parties, and film and theatre premieres for 600, while attracting many of London’s retail, corporate and banking audiences for launches, company presentations and private parties. 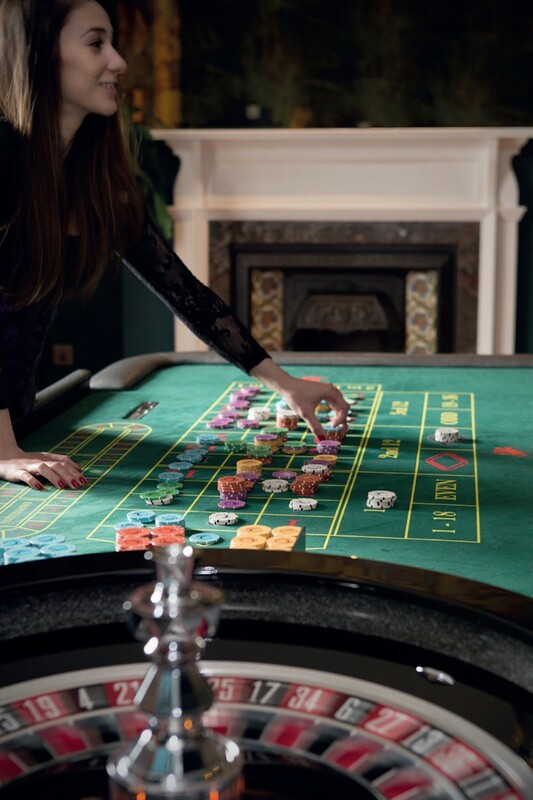 There’s a very definite ‘edge’ to holding your event in a casino, which works in our favour, especially when so many return in the near future under their own steam. What innovations do you feel you have accomplished? We have shown the value of casinos to the UK by developing a world-class asset loved by local people and tourists alike, employing more than 700 people, attracting upwards of 35,000 customers a week and providing material social and amenity benefits to the area, all the while paying more than £32 million in tax a year to the exchequer. We’ve shown the benefit of why you should never stop innovating. We constantly reimagine our spaces and uses of those spaces, making improvements that – you never know – will themselves will be improved upon in a few months’ or years’ time. Those who know me understand I’m not the kind of man to sit still. And there’s been a whole path of personal development for me along the way. I’ve had my own series of innovations as employee number one; the role of property developer to get the permissions and the place built; as a politician to work with those who run and rule London, and the local area; as ringmaster to encourage, cajole, and glue together the vast array of disciplines here and get everyone working together. Now, I’m having more fun than I could ever imagine. But I can still see the massive opportunities that lie in the future of the Hippodrome.